All you want is to sell products without setting up an entire e-commerce store or paying a ton of fees. And if you’re quicker than our 48-hr timer, you can give your site a powerful shopping cart from plug&paid. plug&paid is a full-feature online shopping cart solution that makes e-commerce simple and direct. plug&paid makes transforming your website into a business as easy as copy&paste — one snippet of HTML turns clicks into sales. plug&paid even makes the distinction between physical products, digital products (AppSumo’s jam! ), and services. For digital downloads, plug&paid has your back with automated delivery and support for licenses. Logistics is everything when it comes to gettin’ physical with your products. That’s why plug&paid has an automated shipping cost calculator that tells you how much it will cost to ship your product to its destination using UPS, USPS, DHL, and FedEx. You’ll even be able to create subscriptions on a weekly, monthly, or yearly basis and keep your customers coming back for more. Paper or plastic? 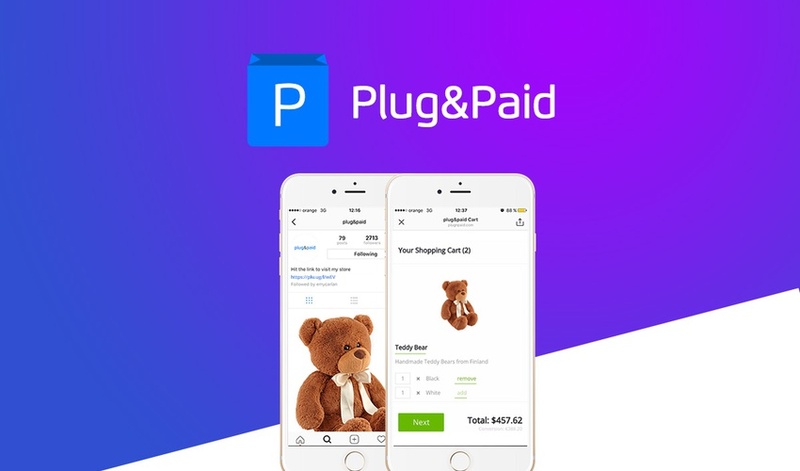 plug&paid shows you the money through all sorts of payment methods, whether it’s cash on delivery, credit card, Stripe, Alipay, Bitpay, or Paypal. You can fine-tune your cart even further with custom “Thank You” messages, whitelists that let you specify which country to sell in, 20 different languages, and 29 different currency options (including ~*cool cryptocurrencies*~ like Bitcoin and Bitcoin Cash). Finally, pick your plug type (button, custom link, or widget) and customize that moneymaker to fit your style and brand! And once everything is up and running, you’ll have live metrics of sales and revenue data that tells you exactly how you’re performing. For online businesses, the fuzz can totally kill a seller’s buzz. For a complete list of plan features, check out the plugnpaid Pricing Page. So let’s get down to business and defeat the hundreds in monthly plugin and service fees other storefront solutions charge. Grab lifetime access before the clock hits zero! Turn clicks into profits today! Other complicated storefront solutions or marketplaces take a commission on each sale, charge hidden fees, or redirect to their own platform (Mr. Steal Your Sale, much?). plug&paid is a simple peer-2-peer solution that never gets in the way of you and the customer, leaving you lovebirds and your hard earned money alone. plug&paid also has encrypted SSL shopping so your customers can have peace of mind and GDPR compliant software so you can have peace from fines. You can even leave European Union VAT rules in the hands of plug&paid with automatic calculations, digital product rules, compliant invoices, and VAT validation. It's time we face the facts: brick and mortar stores are dwindling (experts attribute this to modern society’s refusal to put on pants and leave the comfort of their couch). You’ve already got the platform to open your own online business with no pants required. All you have to do now is turn your audience into customers by adding a plug&paid shopping cart to your website. Don't let the timer beat you! Get lifetime access to plug&paid now! P.S. Join us for a plug&paid demo and walkthrough. Click here to watch the replay.